Madison Area Technical College plans to buy the Badger Road State Office Building and turn the South Side facility into a new, expanded campus. 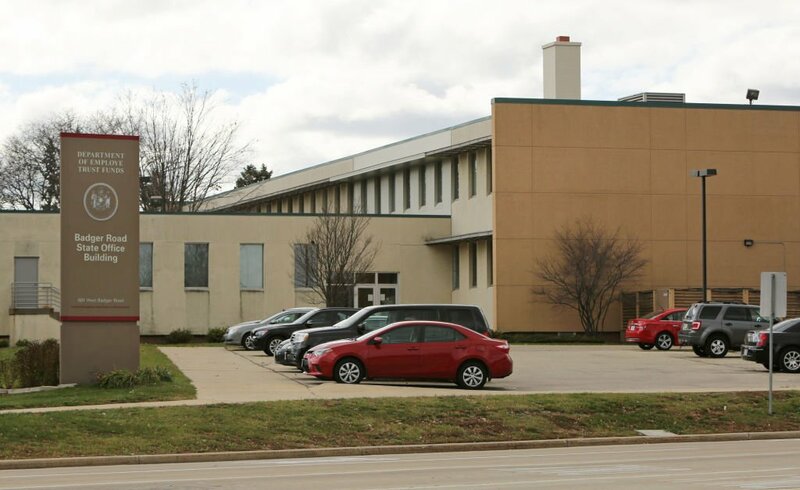 The successful developer chosen to replace the Hill Farms State Transportation Building on Madison's West Side would also have to buy this building, the Badger Road State Office Building, and site at the corner of Badger Road and Park Street in Madison. The state of Wisconsin is seeking a private developer to buy and rebuild the home of the state Department of Transportation, a project that would become the largest state-owned office building. The massive, 600,000-square-foot project at the site of the Hill Farms State Transportation Building could cost taxpayers up to $196 million, according to the request for proposals issued in October. The proposal calls for a developer to buy and replace the existing 400,000-square-foot building on Madison’s West Side and turn it back to the state. Madison zoning administrator Matt Tucker said because of the public-private nature of the proposal, it’s unclear to what extent the development would need to adhere to various city requirements. But he predicted the process would be smooth. But state Sen. Fred Risser, D-Madison, said the project is being “fast-tracked,” with developers given less than a month to draw up a proposal. Risser, the longest-serving member of the state Building Commission, said he found the timing of the request for proposals “suspicious” coming right around election time. Developers were given the 268-page request for proposals on Oct. 10 with a deadline of Nov. 7 to respond. Cullen Werwie, spokesman for the state Department of Administration, said the Hill Farms rebuild “is going to be the biggest building in the state portfolio, if it’s built.” But he denied the project is being fast-tracked. Werwie said the time frame for developers to respond is similar to other major state projects, including the failed request for bids for a similar project at Hill Farms in 2008. He also noted that rebuilding the facility was approved by the Legislature and the state Building Commission in 2013 and will go back before both bodies for final approval. Werwie added that the request for proposals was widely disseminated with about 40 potential bidders attending a mandatory tour of the property on Oct. 17. Design and construct a 600,000-gross-square-foot office building on the Hill Farms site at 4802 Sheboygan Ave. Provide up to 2,500 spaces of parking. Buy the “functionally obsolete” Hill Farms building, a 400,000-square-foot facility built 57 years ago. The successful bidder also would buy and be allowed to develop the remainder of the 21-acre site. Purchase the 51,000-square-foot Badger Road State Office Building. The building, which includes 4.35 acres of land near the Beltline at Park Street and Badger Road, would be vacated and its tenants moved to the new Hill Farms building. The successful bidder would be able to redevelop the entire building and site. In addition to housing the state Department of Transportation, the new facility would be home to employees from the Department of Employee Trust Funds, Public Service Commission, Office of the Commissioner of Insurance, Department of Financial Institutions, Wisconsin Economic Development Corp. and Department of Administration. Risser said he believes it’s “not humanly possible” to devise a reasonable proposal for such a complex project on that short of a time frame. He also decried the lack of public input into the process. But Michael Lawton, who heads the planning committee for the University Hill Farms Neighborhood Association, said he’s confident DOA and its developer will work with the neighborhood, as the state did during the earlier planned redevelopment of the site. Lawton said the association plans to send a list of concerns and issues for the state to consider as it evaluates the proposals. According to DOA, the new structure cannot exceed the height of the Hill Farms building, which is nine stories tall. In addition, any private development on the remainder of the site would have to be approved by the city of Madison. According to the request for proposals, the new office building should take two years to build. Any proposal costing above $196 million will be rejected. A final contract is scheduled to be executed by Dec. 31. DOA Secretary Mike Huebsch emphasized there is no plan to sell or lease the buildings at this time. Four development teams have been short-listed to participate in the next round of the selection process. The state is seeking developers for the project, which was approved by the State Building Commission in March 2013. But the developer's identity won't be released until the state gets closer to finalizing a contract for the project.